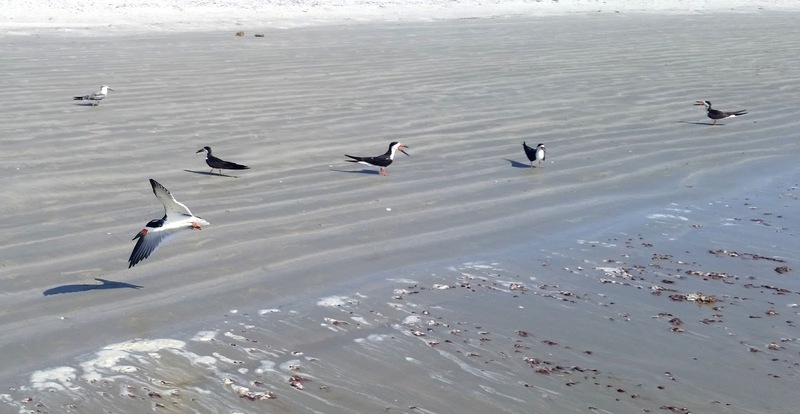 When I saw these birds on the beach, it was their impressive color scheme that caught my eye. The black and orange beak made these birds looked like they belonged in an exotic tropical location, not sharing a beach with regular 'ol seagulls. They are reminiscent of American Oystercatchers, though not quite as dramatic. 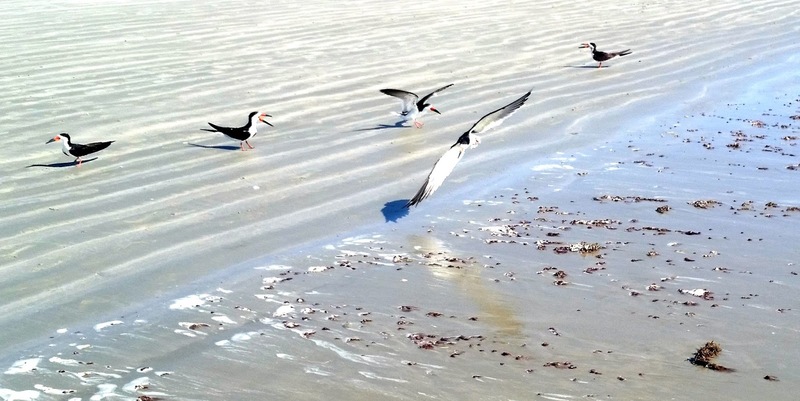 These guys are Black Skimmers, and looking beyond their funky plumage, one can notice another remarkable fact. They are the apparently the american bird with a lower jaw that's longer than the upper jaw. 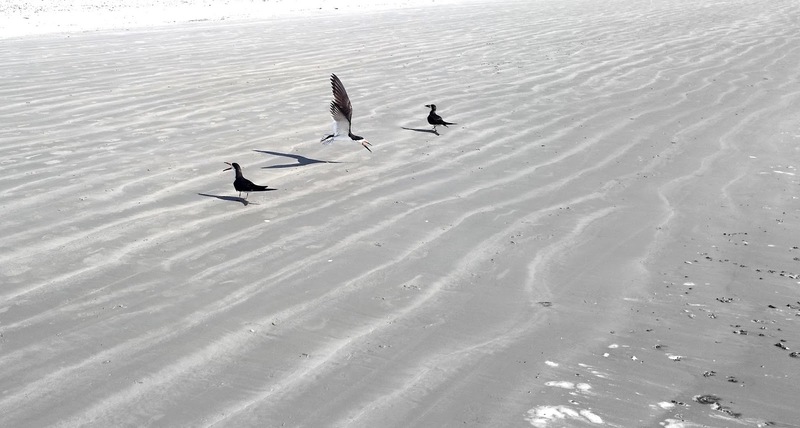 They are built for, well, skimming, and this beak arrangement works for them. Another neat feature, which I didn't notice, nor can you see in the photos is that they apparently have vertical pupils, which help with the glare off the water. That's one well built bird.